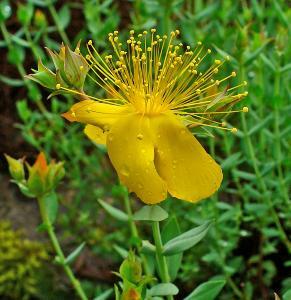 Hypericum olympicum is a dwarf, deciduous sub-shrub. Erect stems with small, ovate grey-green leaves. 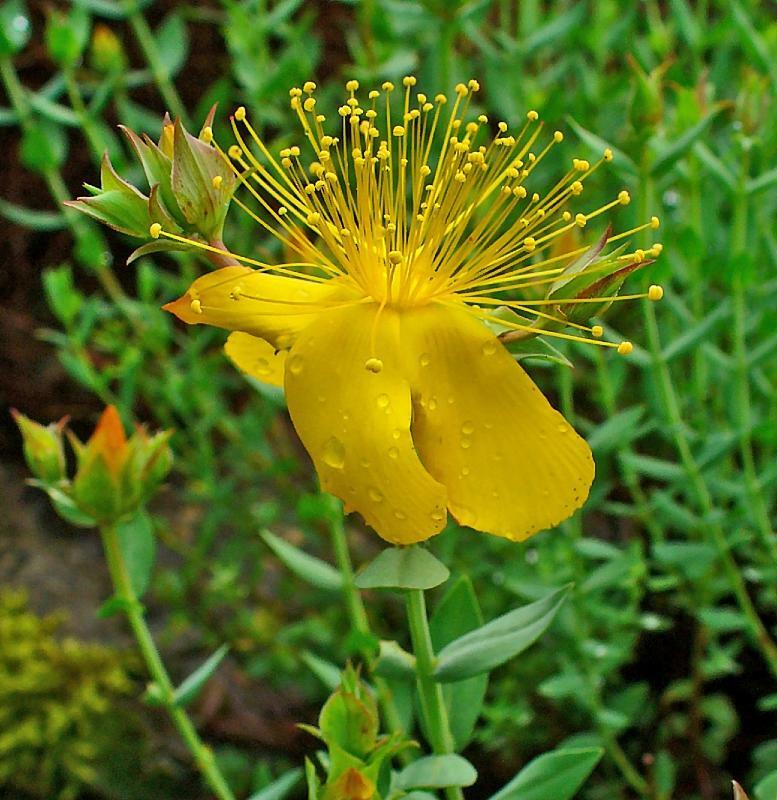 Flowers are bright yellow, upto 5 cm in width appear in small clusters during the summer. Will grow in full sun or partial shade. Hardy. Height 0.5m.